Mar George Punnakottil was born on 13th September 1936 at Thazhavankunnu. After matriculation in 1953 from Infant Jesus High School, Vazhakulam he joined the Minor Seminary at Ernakulam. He did his philosophical studies at St.Joseph's Pontifical Seminary, Mangalapuzha and theological studies at the Pontifical Urban University,Rome. He was ordained a presbyter in Rome on 18th October1961 through the imposition of hands by Mar Matthew Kavukatt, the then Metropolitan of the archdiocese of Changanacherry.He took licentiate in the study of Sacred Scripture from the Pontifical Biblical Institute in Rome, and doctorate in Biblical theology from the Pontifical Gregorian University, Rome. His first appointment in the Eparchy was as the Assistant Parish Priest of St.George's Cathedral, Kothamangalam. In 1968 he joined the staff of the St.Thomas' Apostolic Seminary, Vadavathoor where he served mertoriously as the professor of Sacred Scripture and Theology. In 1974 he left for the United States of America on sabbatical year to further pursue his studies. He obtained a master's degree in International relations from the Vanderbilt University of Nashville, Tennesse State in 1976. He was a visiting scholar in the Union Theological Seminary in 1976. Coming back to India in 1976 he resumed his office as professor at St.Thomas' Apostolic Seminary, Vadavathoor. He also served the Seminary as its Vice Rector and Editor of the periodical "Bible Bhaashyam". He has written a number of scholarly articles in periodicals and two books on the Bible. 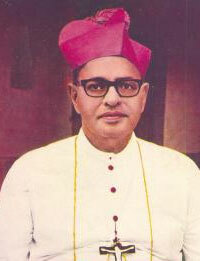 On 26th February 1977 he was appointed the Bishop of the diocese of Kothamangalam. His Episcopal Ordination was on 24th April 1977. Chairman: Bible Commission, Kerala Catholic Bible Society. Chairman of the CBCI Commission for Ecumenism and Dialogue. Member of the Pontifical Council for the Cultural Treasures of the Church, Rome. Member of CBCI Standing Committee. Mar Matthew Pothanamuzhi Ph.D., D.D. The first one called by God to guide His people of Kothamangalam was born at Nadukara, in Arakuzhaparish, near Muvattupuzha, on December 22,1903. His primary and secondary education were at Infant Jesus High School Vazhakulam, Govt. High School Muvattupuzha, St.Joseph's School Pavaratty and St.Mary's High School Aluva. After finishing his school education he joined Sacred Heart Minor Seminary Aluva in 1923. His philosophical and theological studies were at Kandy Seminary, Ceylone. He was ordained a priest on October 2,1932 by Bishop G.Rocky of Tuticorin. Meantime he had obtained Ph.D and D.D. After returning to the diocese, he served his own home parish Arakuzha as Assistant Vicar for a short period. Later, he was appointed as the Rector of Malankara Minor Seminary, Trivandrum. He was also the Secretary to His Excellency Mar Ivanious at that time. Later he was appointed as the Vicar General of Ernakulam Archdiocese. He held the post for ten years.Later he was appointed as the parish priest of Vazhakulam Forane Church. On July 30,1956 he was chosen as the First Bishop of Kothamangalam diocese. His episcopal ordination was at Rome on 18 November 1956. 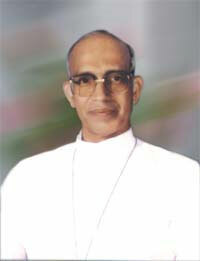 After serving the diocese meritoriously for almost two decades, Mar Pothanamuzhi retired on April 24, 1977. He passed away on February 6,1982.